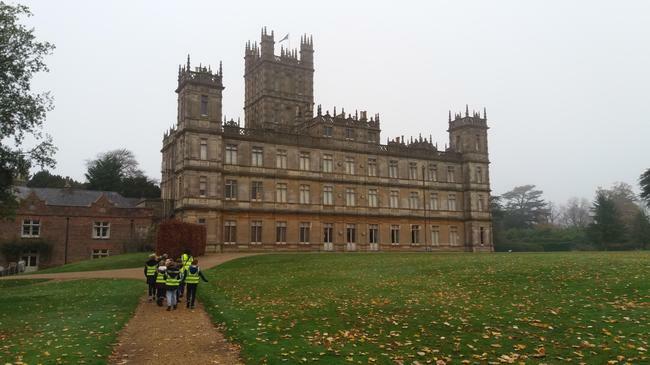 Lower School Trip to Highclere Castle, Friday 16th November 2018. 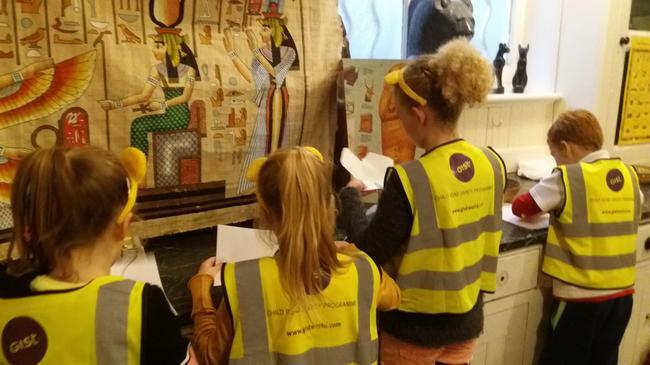 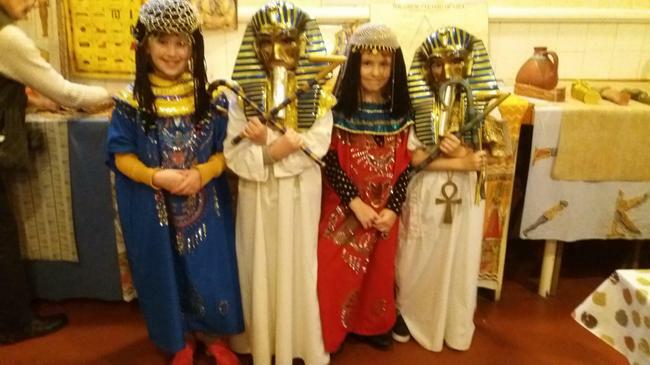 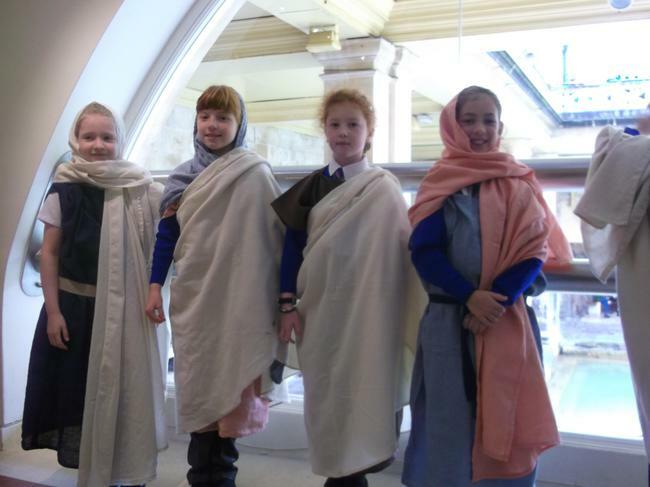 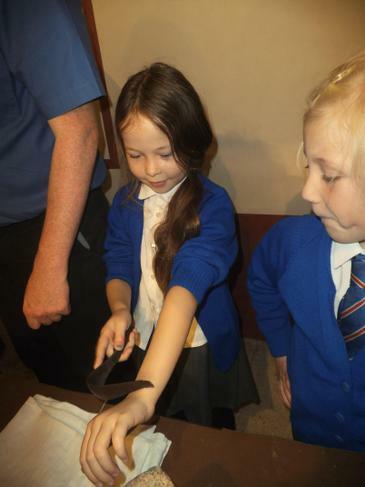 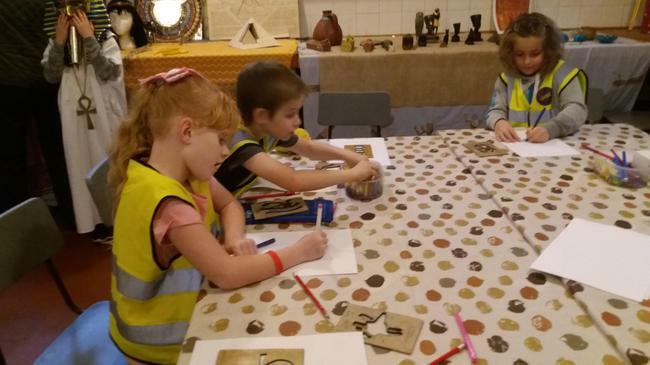 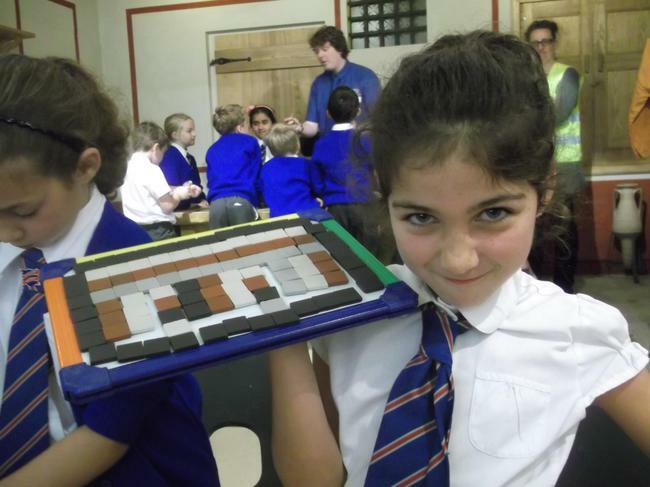 Class 1 and half of Class 2 travelled to the castle by coach to see the ancient Egyptian exhibition. 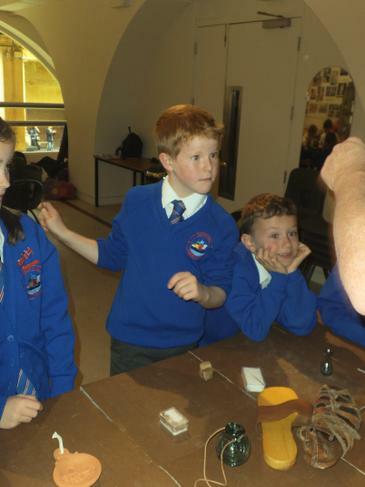 We saw an amazing range of artefacts and learnt so much about the link between Highclere (the family of the Earl of Carnarvon) and the Tutankhamun find in the Valley of the Kings. 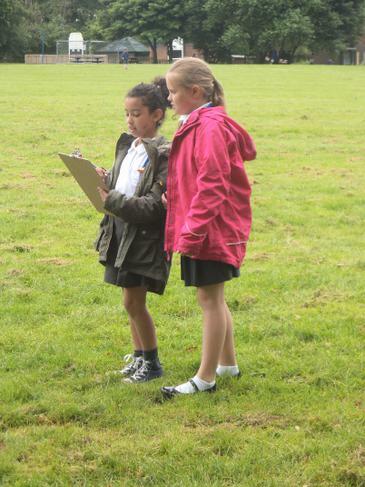 We also had an interesting tour of the gardens and grounds that were designed by Capability Brown. 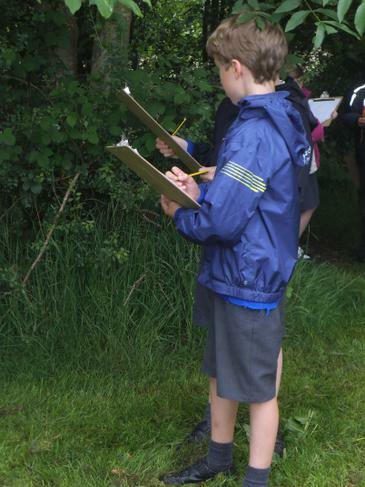 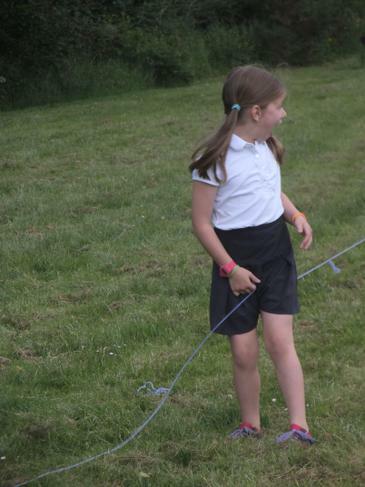 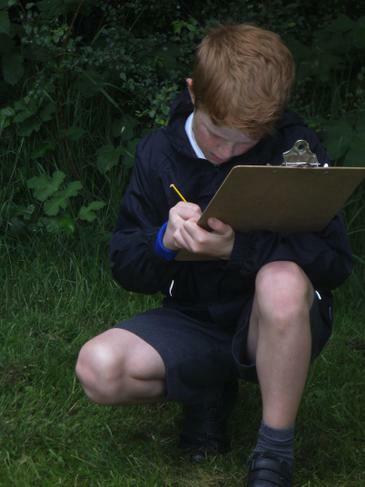 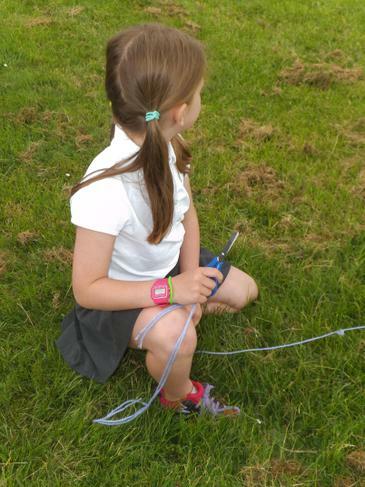 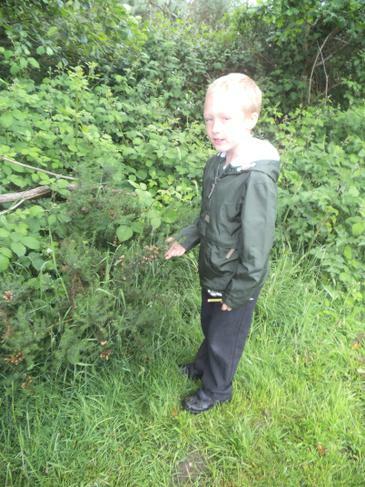 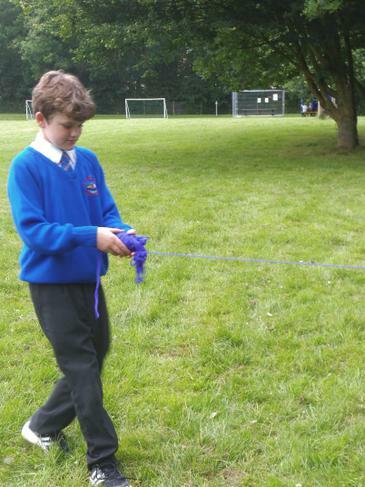 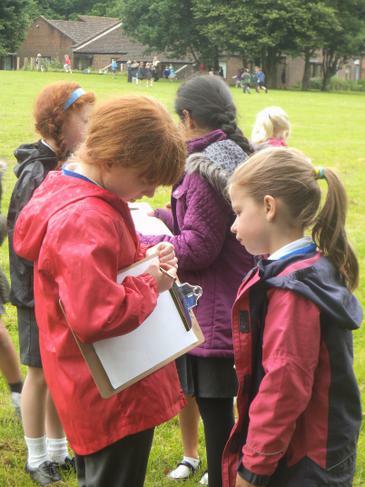 Thursday, 18th May was Outdoor Classroom Day at school. 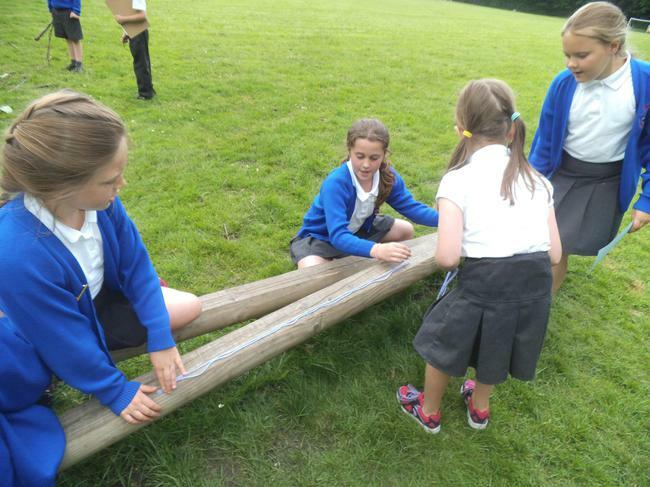 It is a global campaign to get children outdoors to play and learn at school, and as part of their everyday lives. 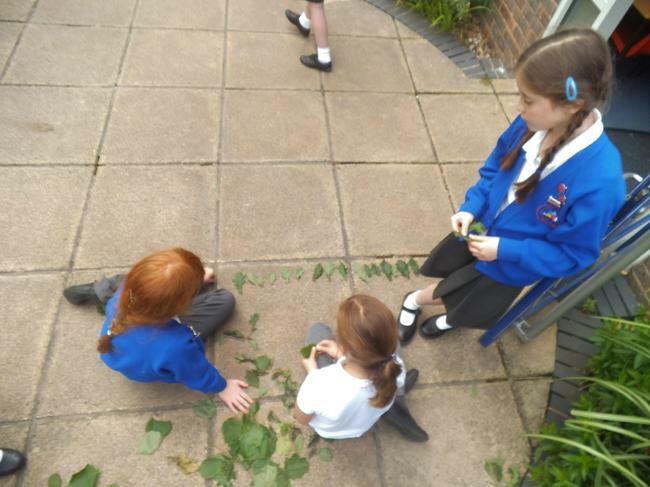 In lower school, we created a colour palette using rubbings of natural objects outside. 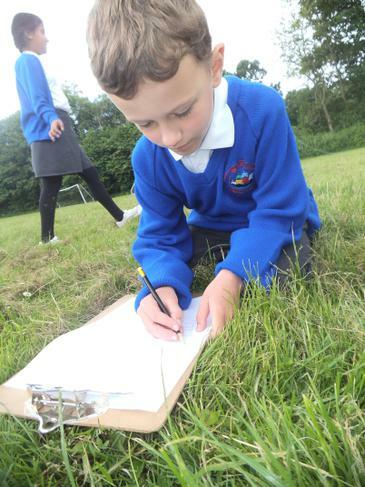 As year 4s went for their weekly swimming lessons, year 3 stayed outside for a rounders lesson in the sunshine. 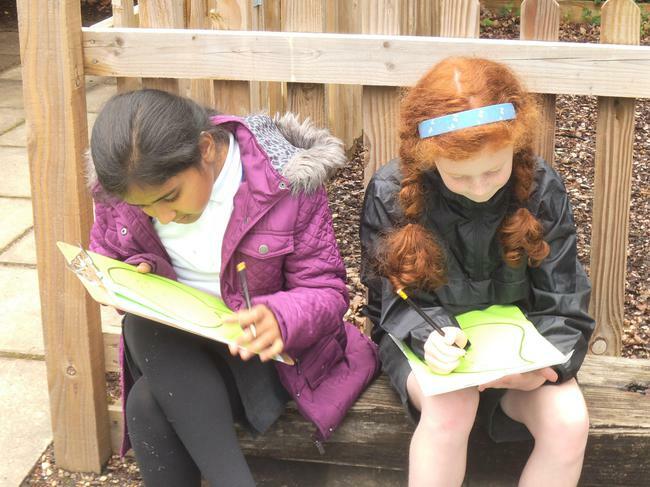 This afternoon, we will use our colour palette, texture palette and a sound map to write our own haikus. 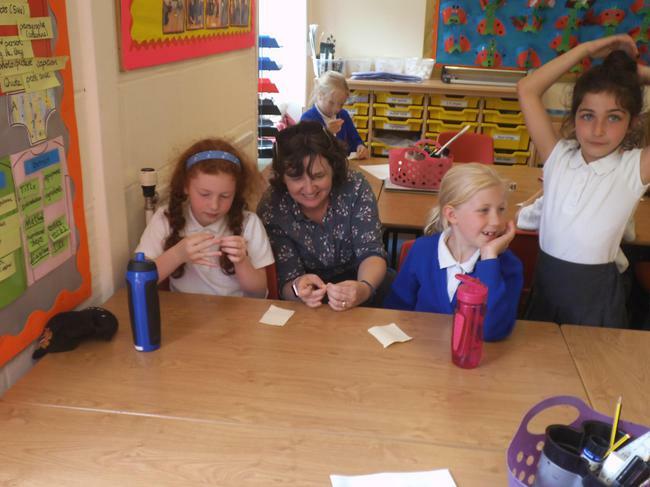 Here are some photos from our day - many smiles today! 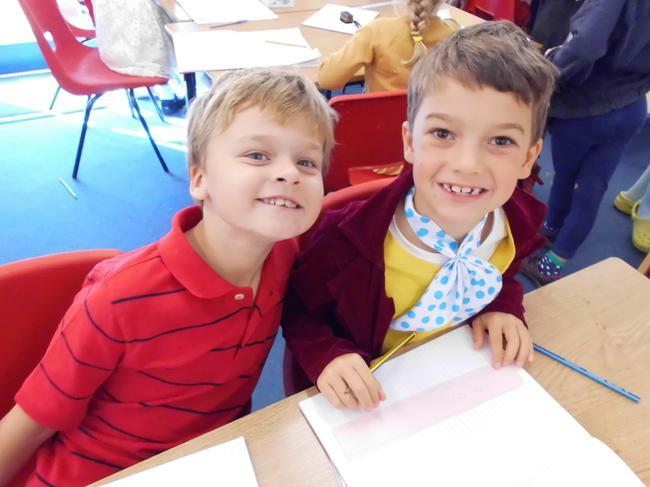 Friday, 23rd September was another creative day in lower school with children dressing up as Roald Dahl characters. 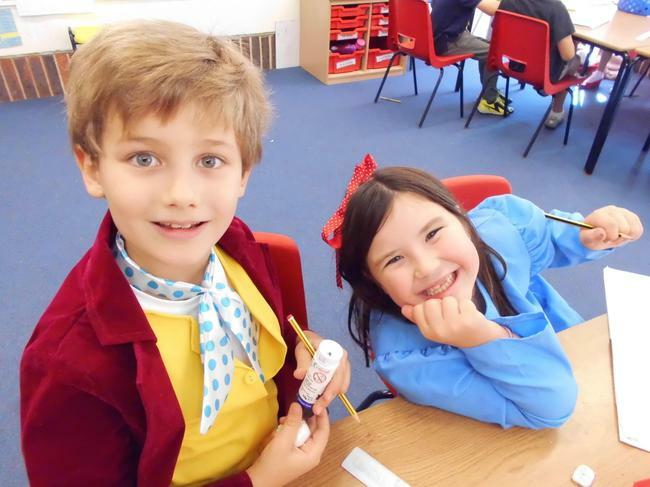 Mischievous Matilda even brought her newt and put it on Mrs Trunchbull's desk when it was celebration assembly. 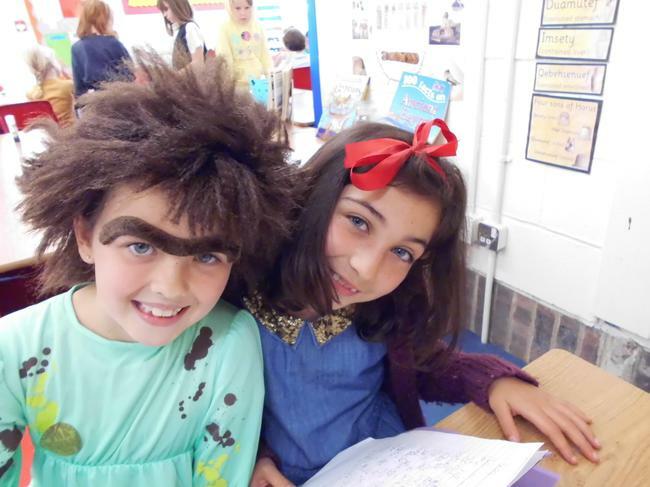 We used our direct speech knowledge from the week to create a conversation between two Dahl characters that we were dressed up as. 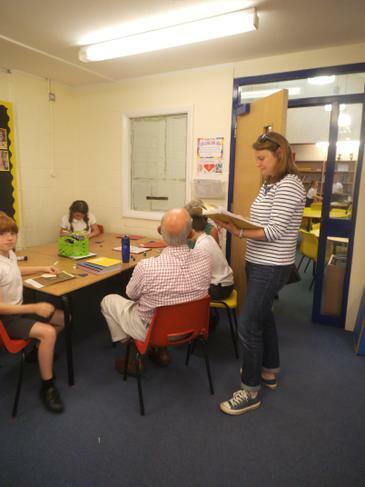 The day ended with a lower school Roald Dahl quiz in the hall. 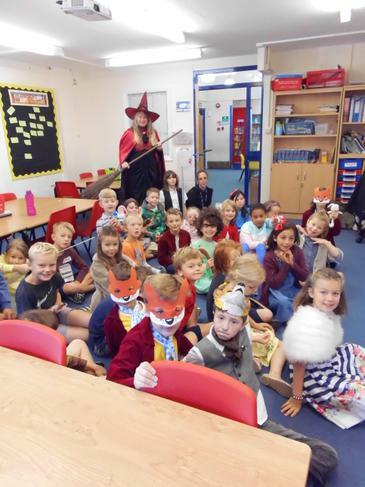 Many thanks to all the children for being so enthusiastic and the parents for assisting with yet another dressing up day. 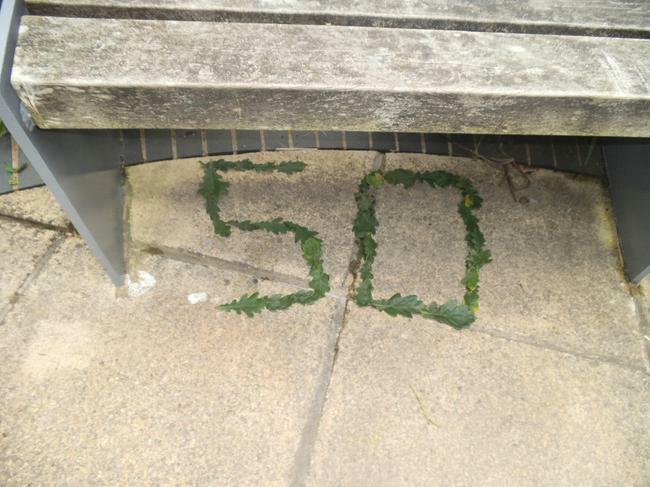 (We promise there won't be another one this term.) 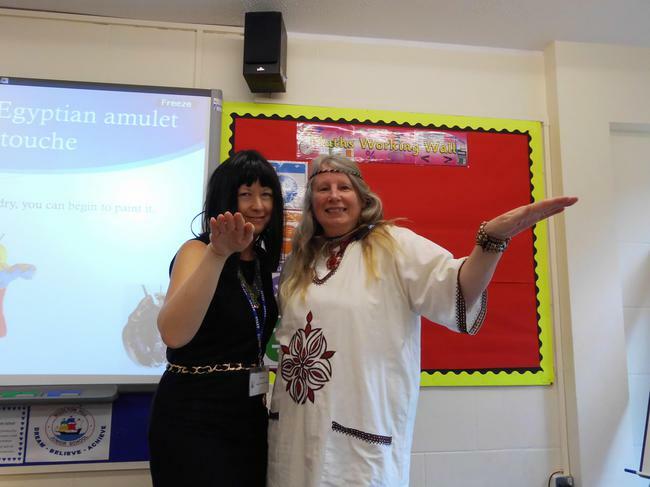 Be sure to look at the Latest News page for photos of the teachers' outfits in celebration assembly. 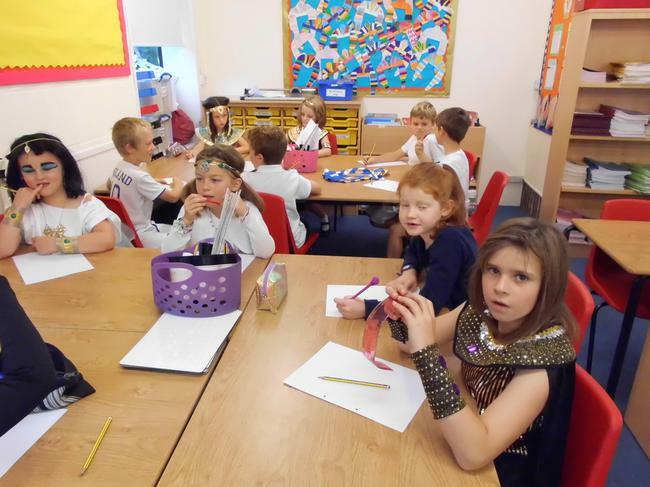 Congratulations to all the lower school children who make such a fantastic effort at dressing up. 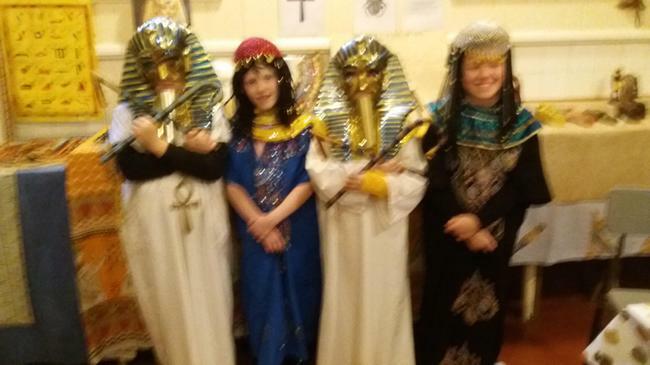 You all looked fabulous. 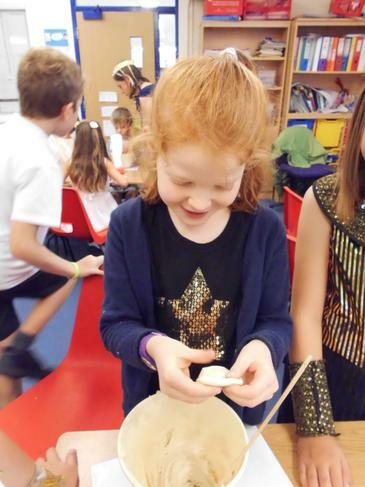 Our first activity was to create a lucky amulet out of salt dough. 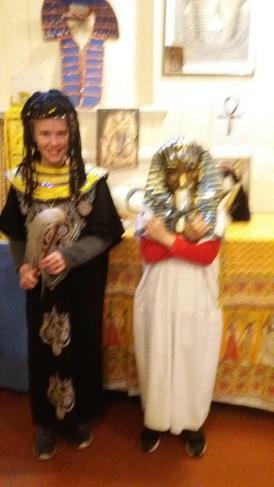 Our designs included hieroglyphics or other lucky charms such as scarab beetles, ankh. 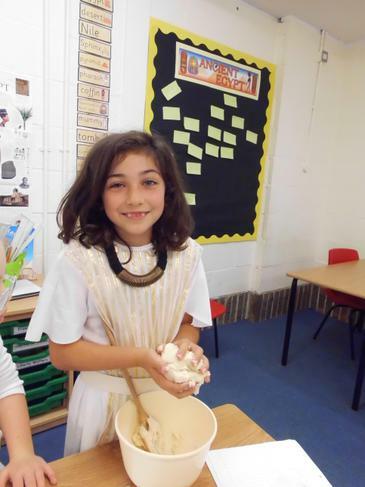 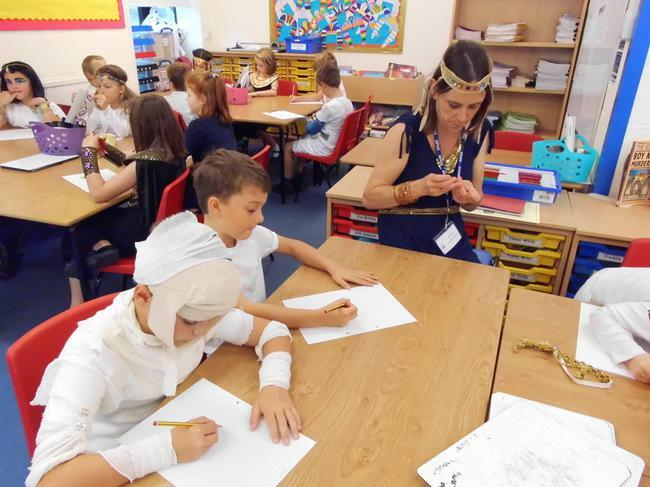 In the afternon the children created their Egyptian collars and had a treat of ice cream and Egyptian Khoshaf sauce. 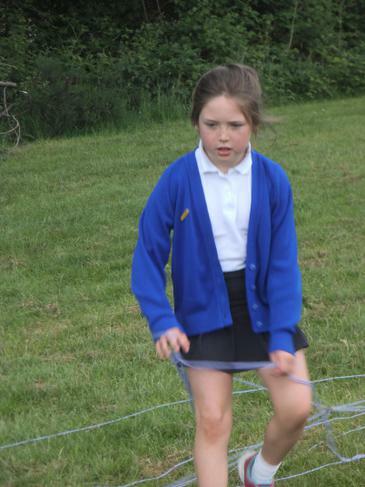 What a busy day with sports day this morning and then open afternoon as well. 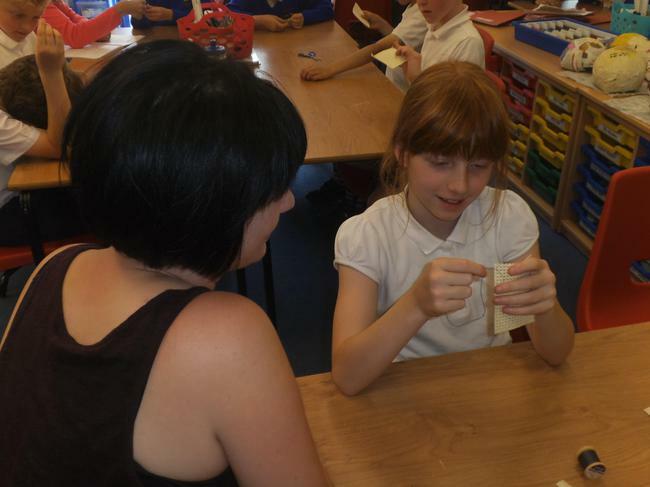 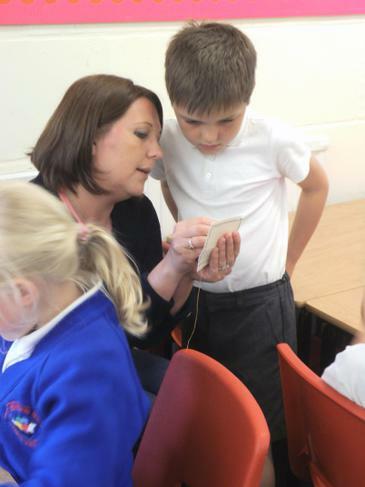 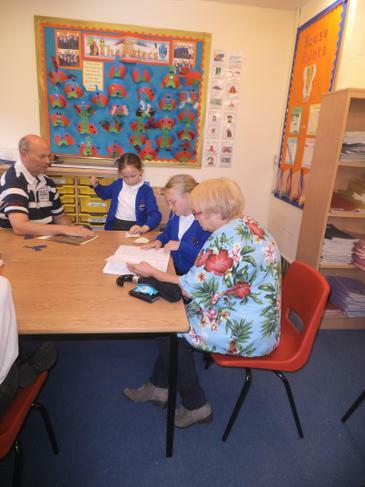 Parents were invited to look at children's books and help their children with sewing. 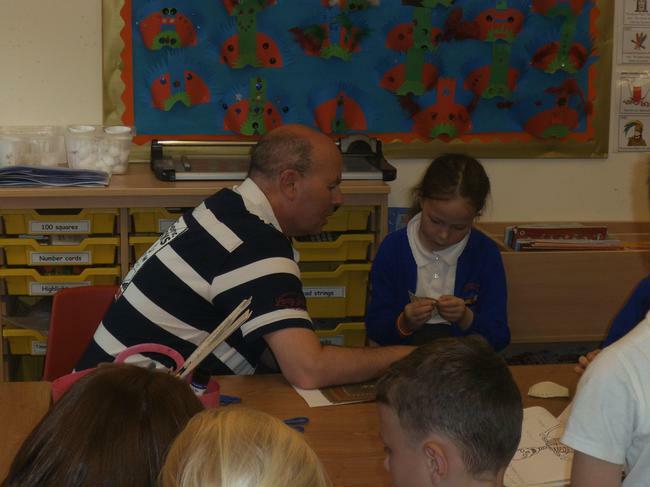 Thank you so much to all the parents who were so willing to help. 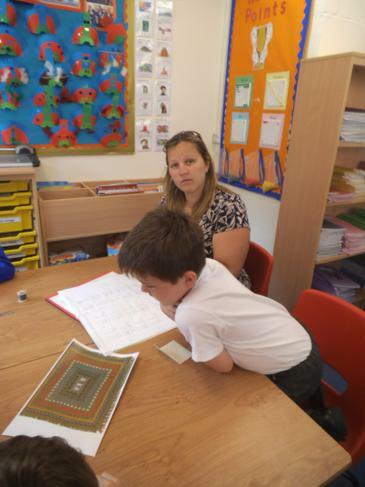 It was great to see you in school. 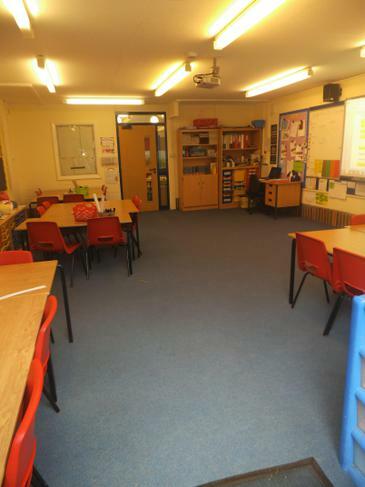 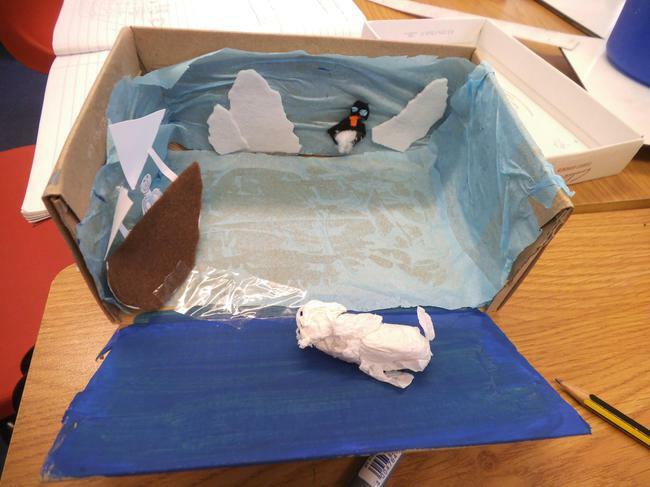 Empty Classroom Day is part of a global campaign backed by Persil’s ‘Dirt is Good’ movement. 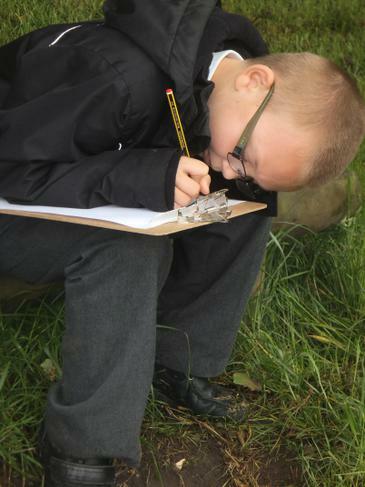 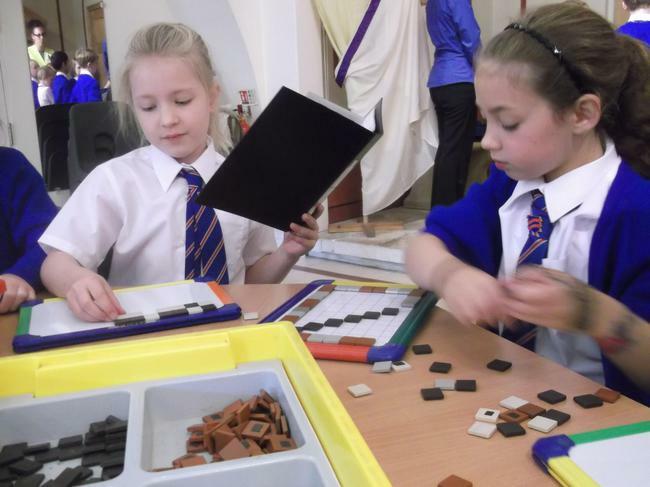 It aims to celebrate and inspire learning and play outside the classroom. 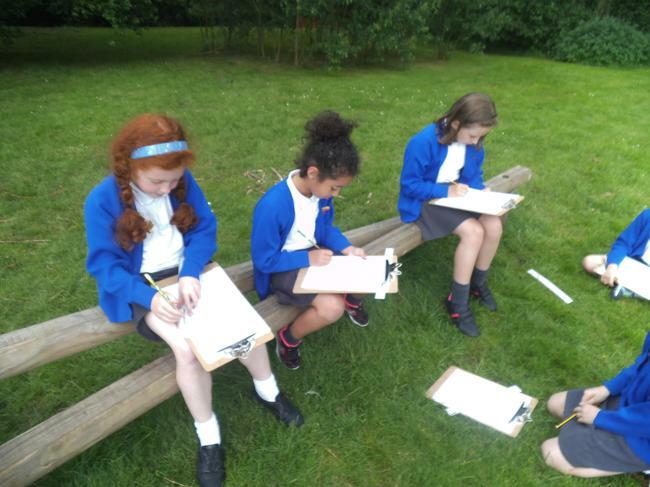 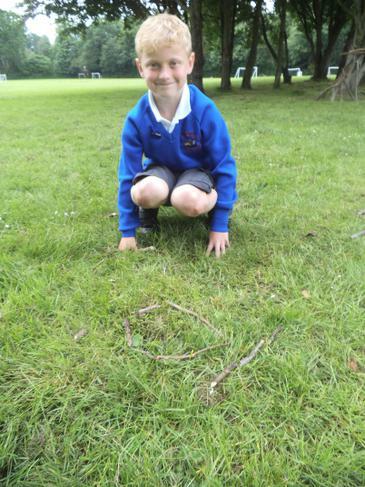 We had a fantastic day in class 1 by taking inspiration from our fabulous field and trees to create poetry. 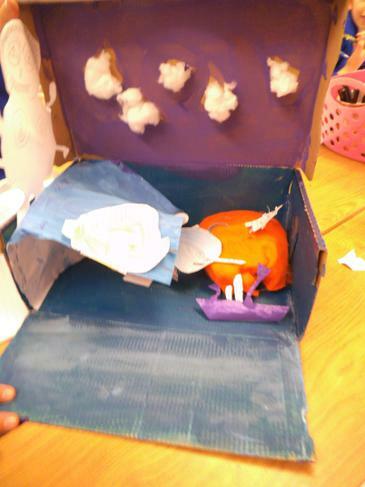 The only rule was that there was no rhyming words. 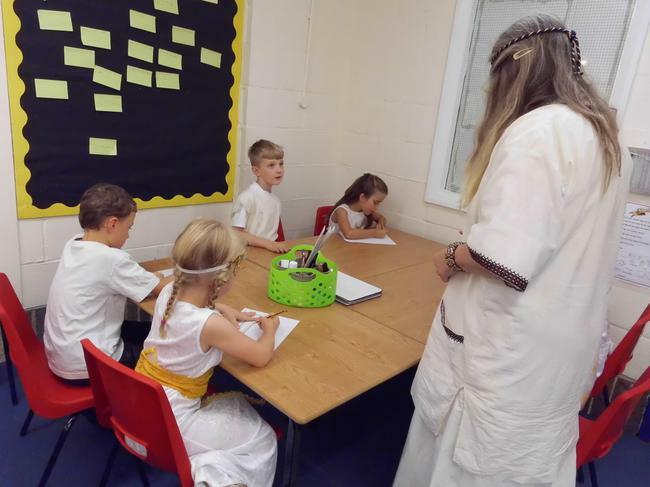 So we could include any metaphors, personification, similes, alliteration, adjectives (and rhyming if it happened accidentally). 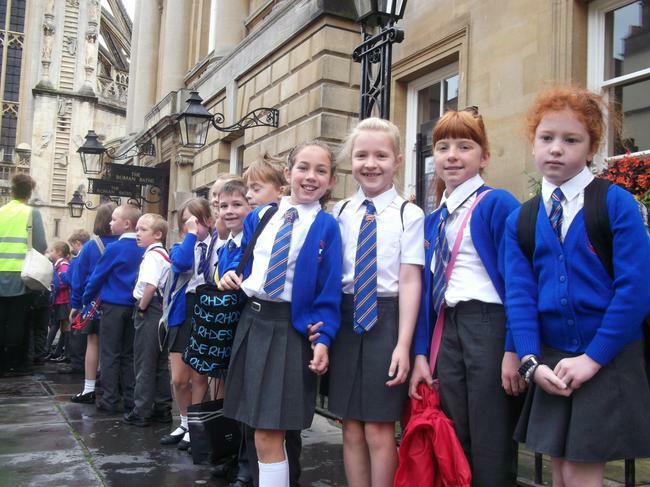 Here are some photos from our afternoon...and the rain held off all day! 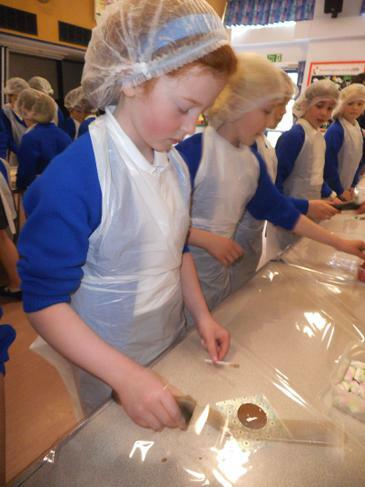 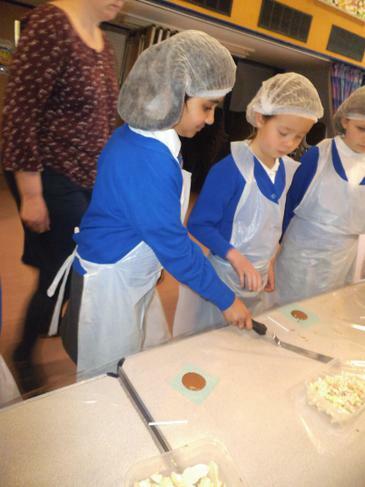 On Monday, 18th April we were fortunate to have a visit from Rosie's Chocolate Factory. 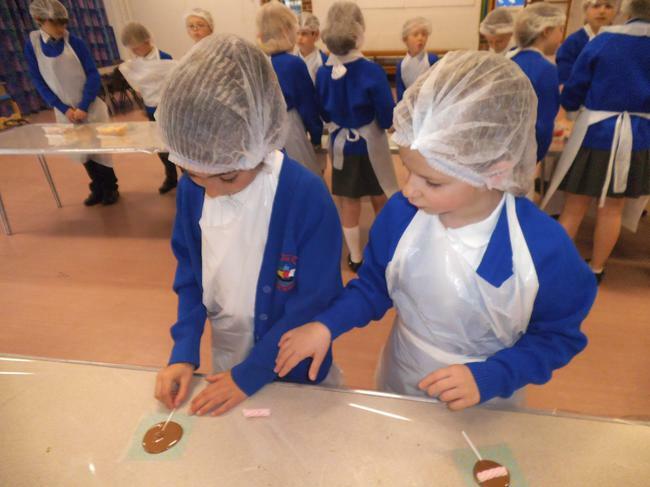 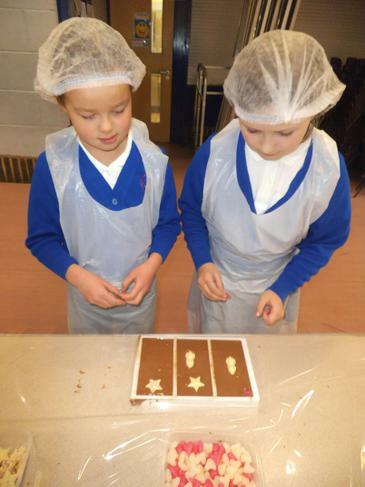 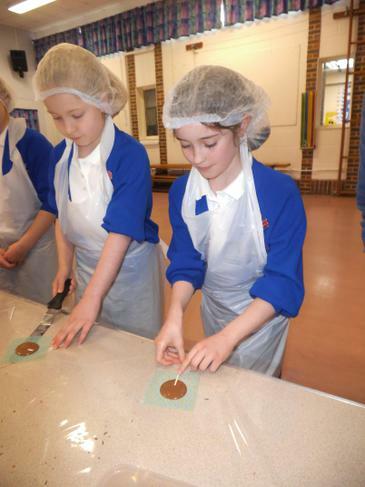 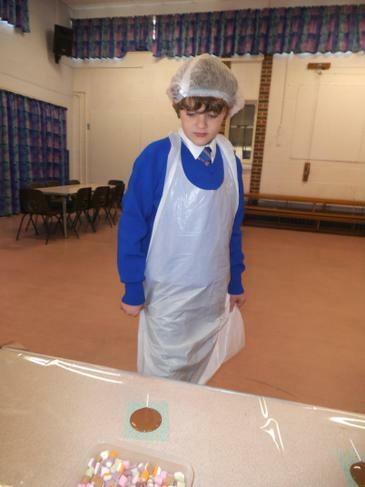 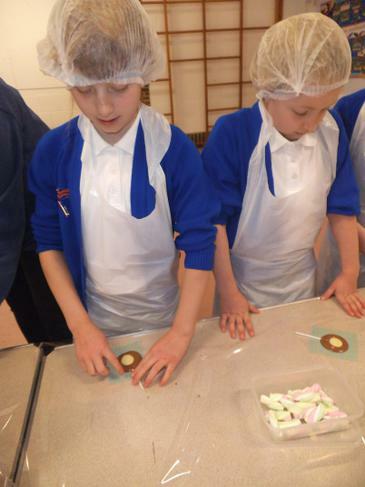 This was a really exciting start to our summer term's lower school topic of chocolate. 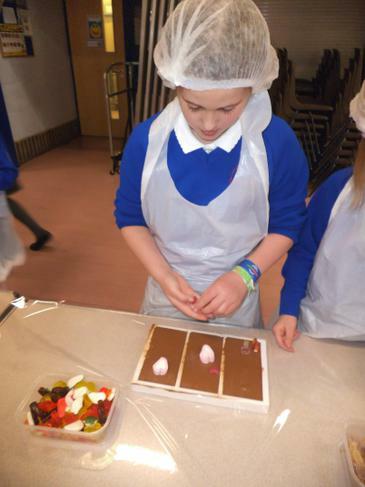 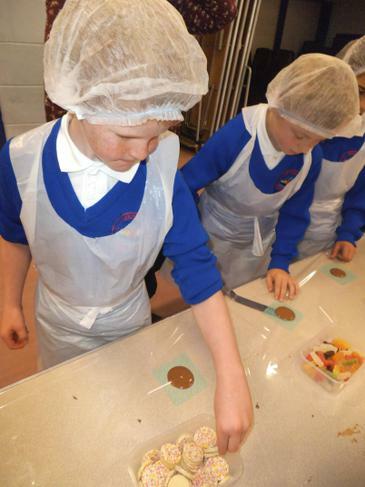 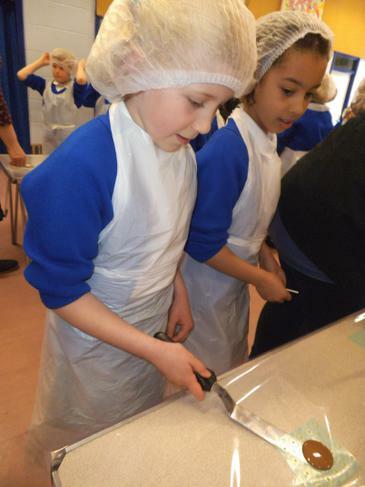 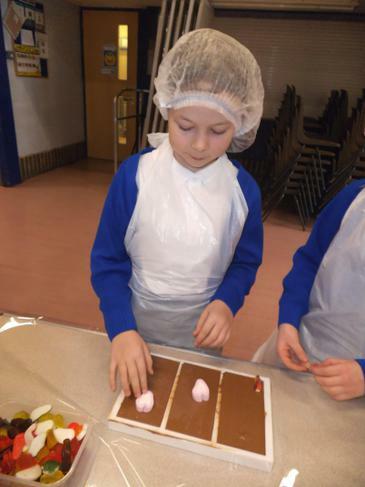 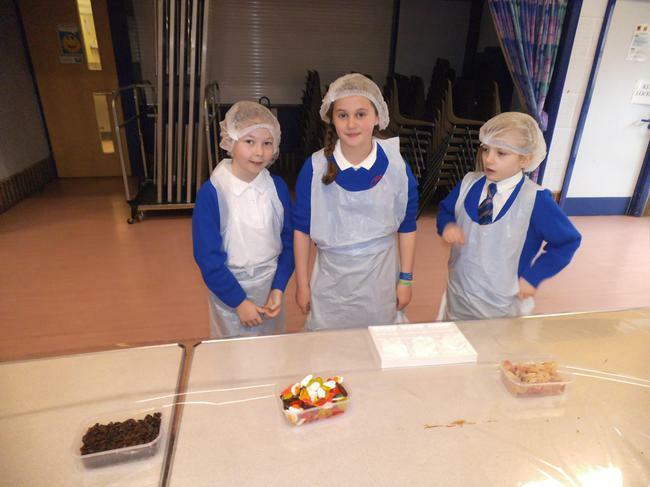 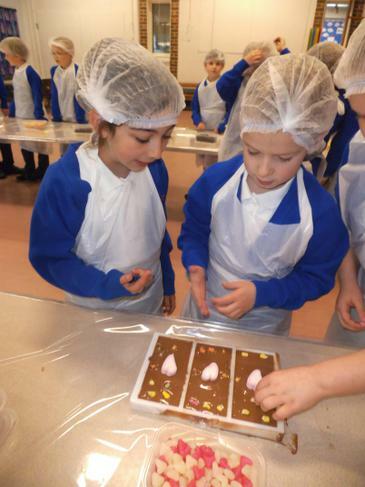 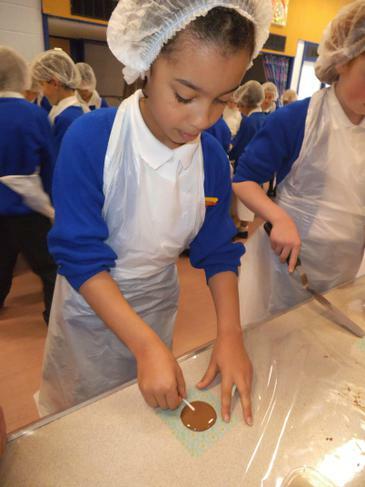 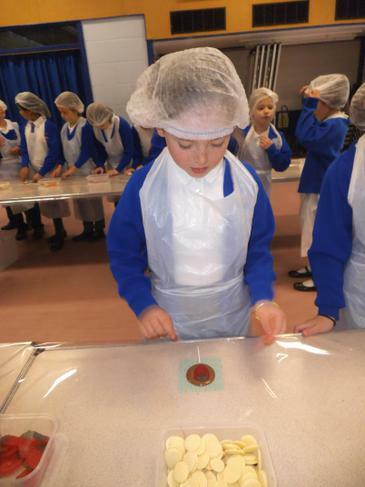 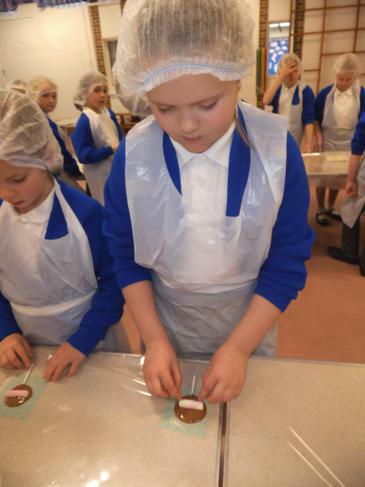 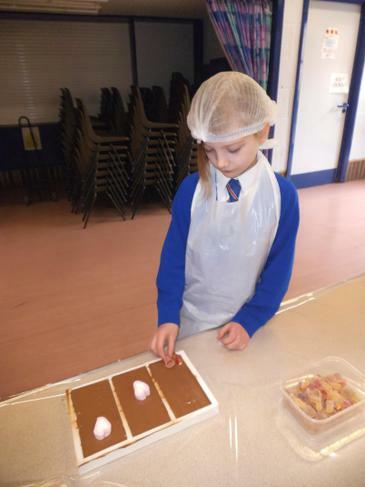 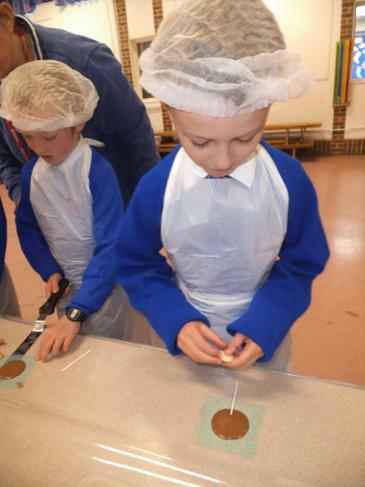 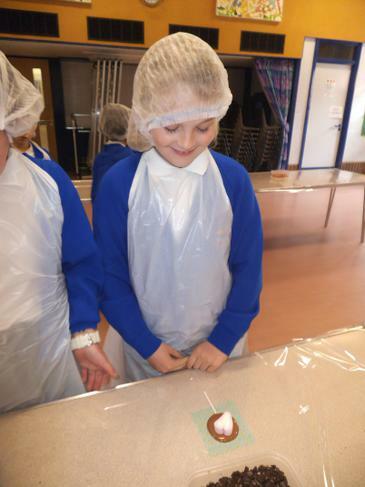 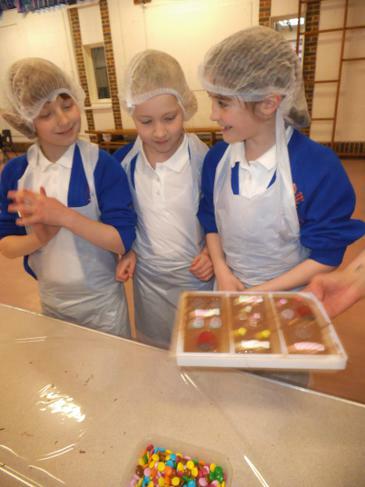 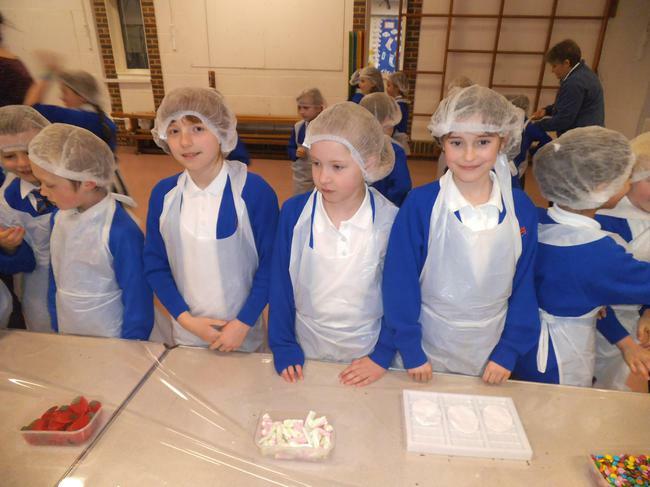 Each child received a hair net and disposable apron to wear; they had the opportunity to design and make their own chocolate bar and lollipop. 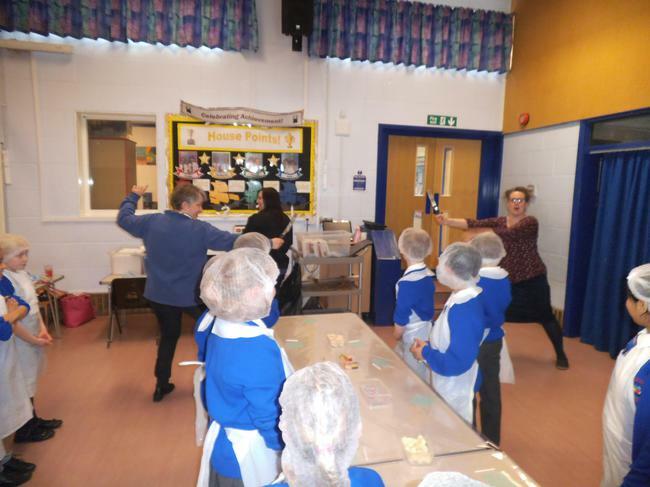 Thank you to our parent helpers Mrs van der Giessen, Mrs Walke and Mrs Johnson who's "joushing" skills (ask your children for details as the spelling is hard to pin down) were needed. 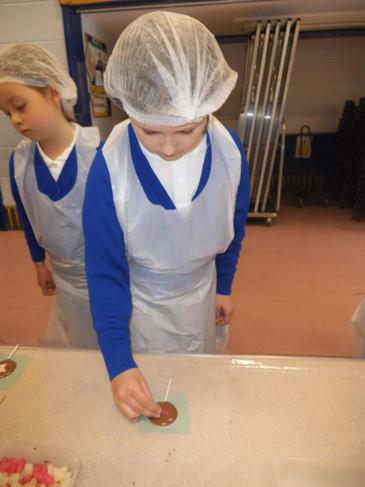 After this practical session, each class looked at where cocoa trees can be found and how the cocoa beans are farmed. 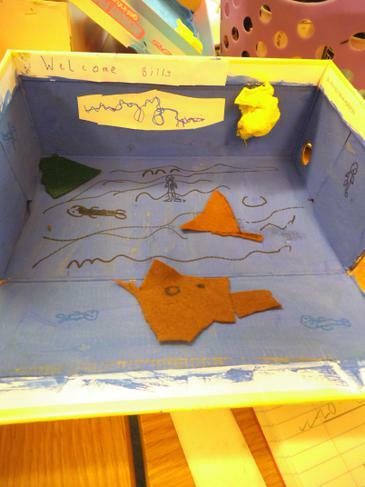 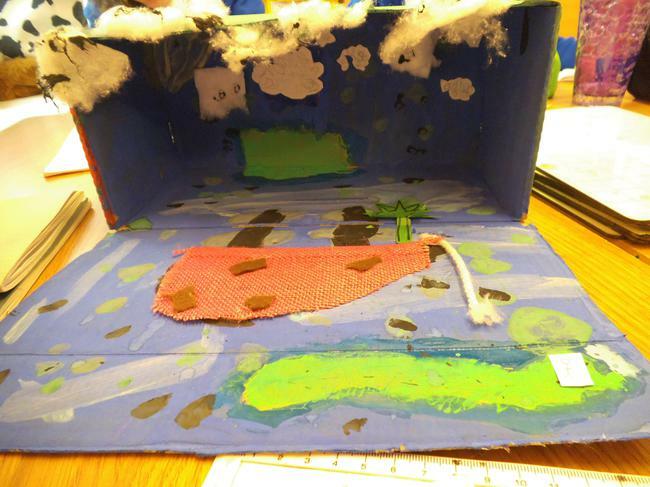 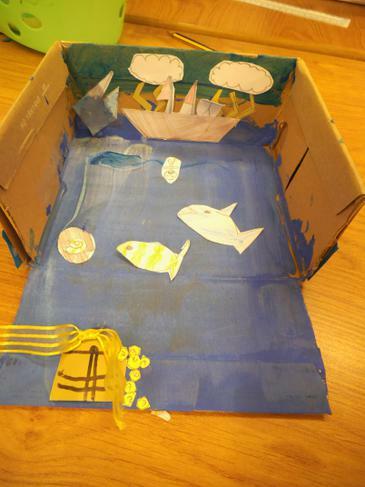 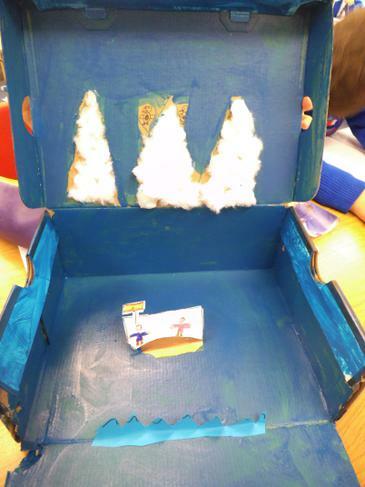 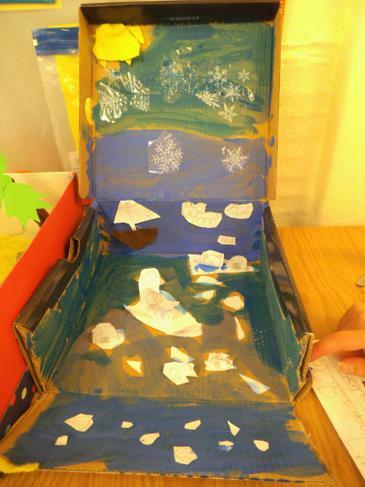 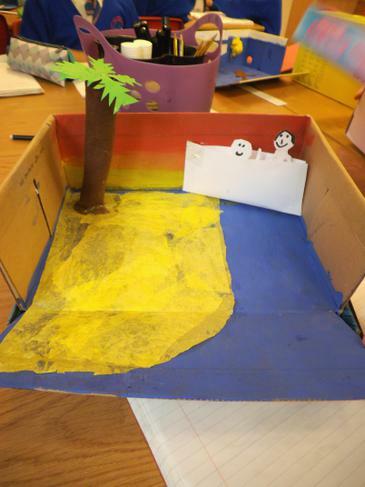 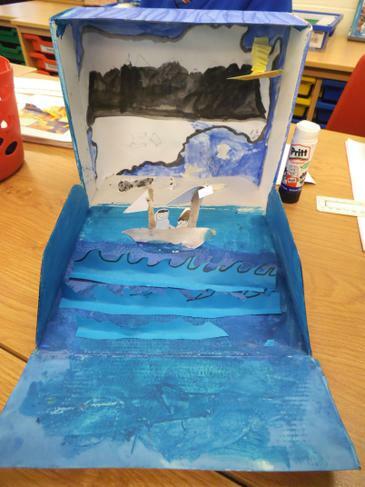 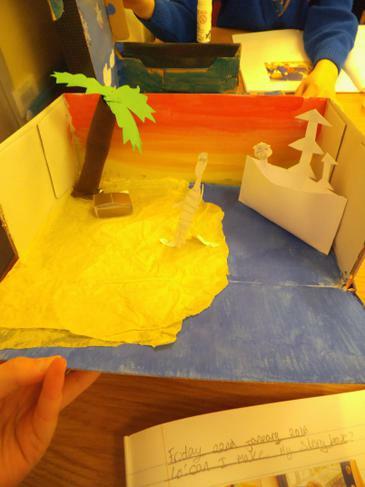 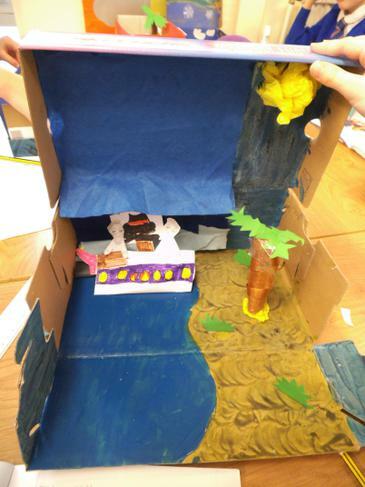 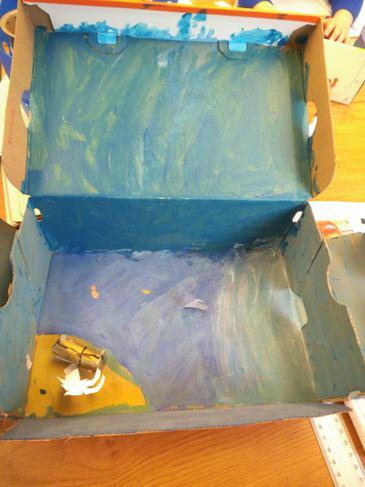 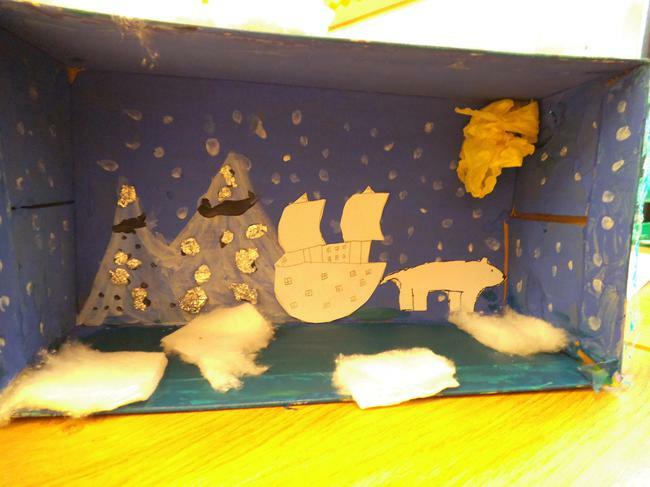 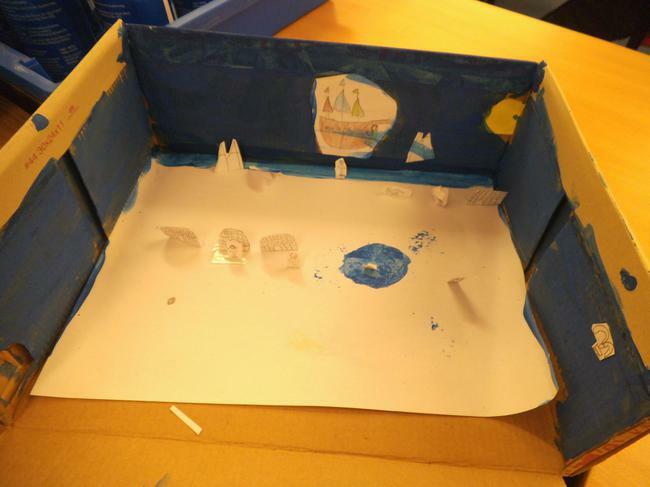 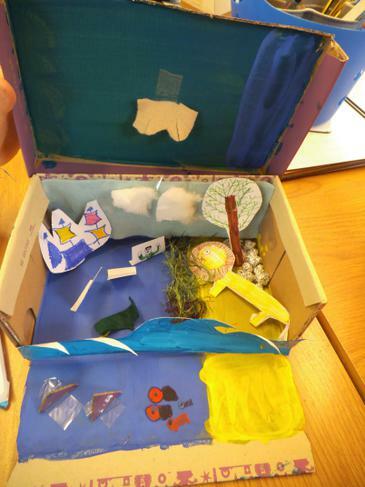 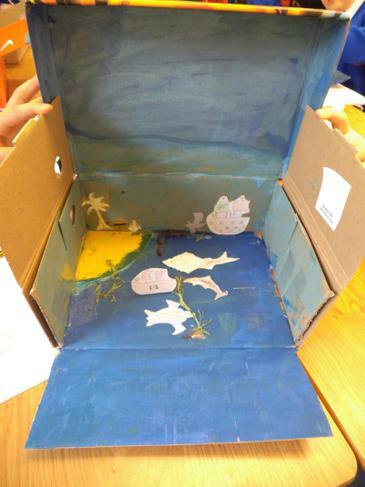 We are so proud of our picture boxes that we created in literacy this week. 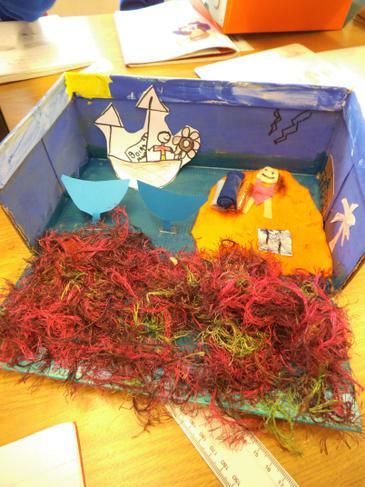 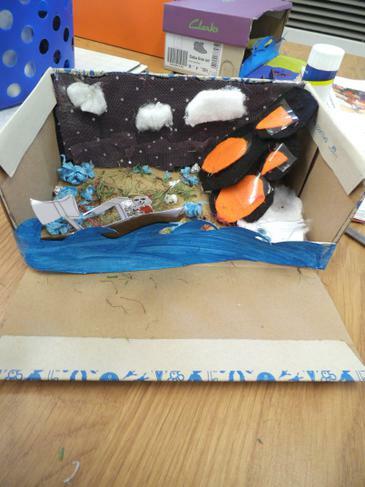 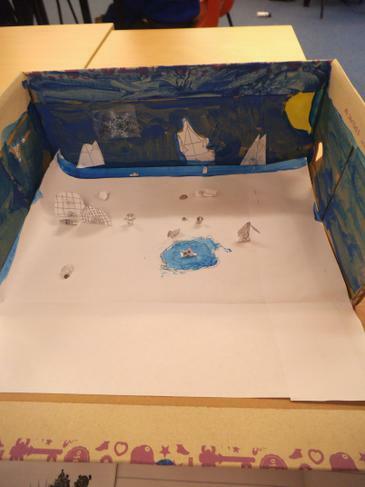 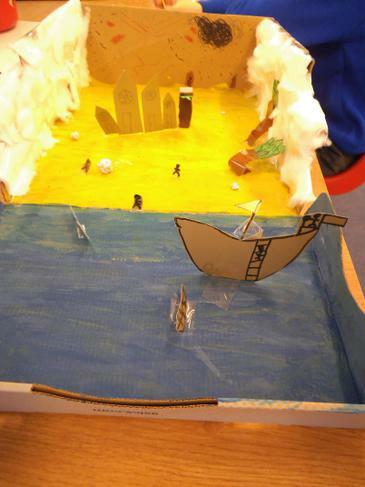 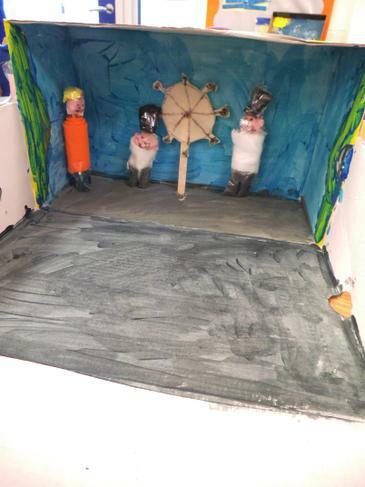 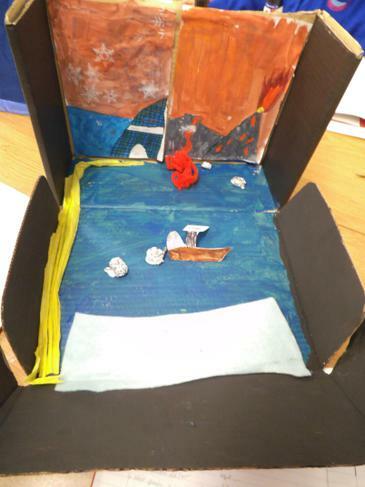 They are based on our text "Wreck of Zanzibar" and they depict the adventure that Billy goes on once he leaves the Isle of Scilly. 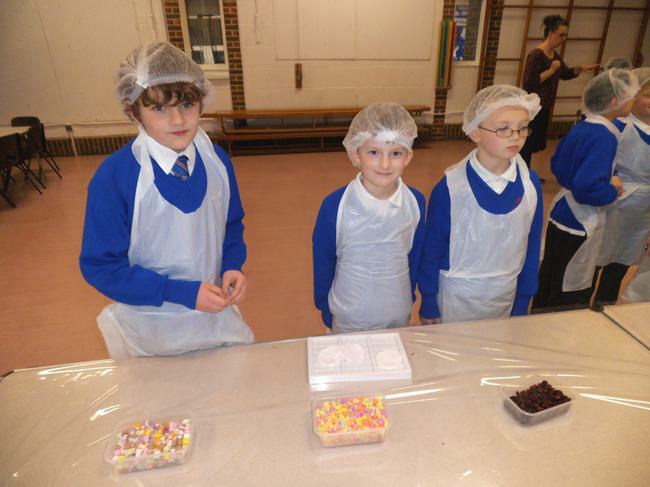 What a fantastic start to the new term: enterprise week! 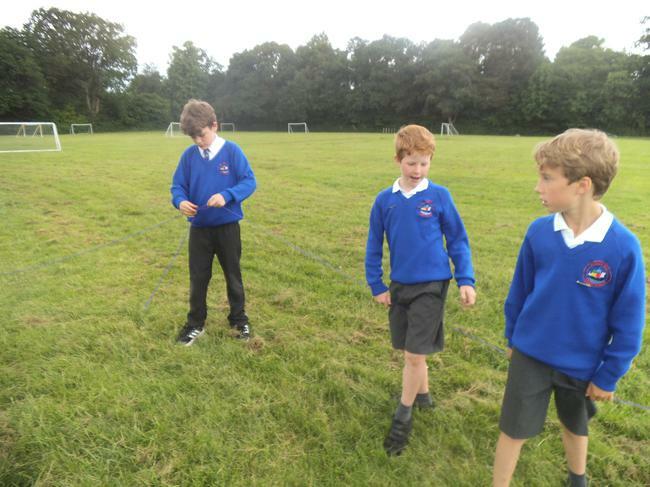 Day 1 started with forming our own groups and learning to co-operate with people we might not normally work well with. 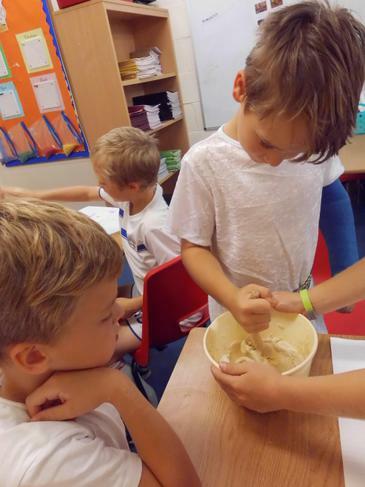 After this we brainstormed product ideas and conducted our own market research with another class. 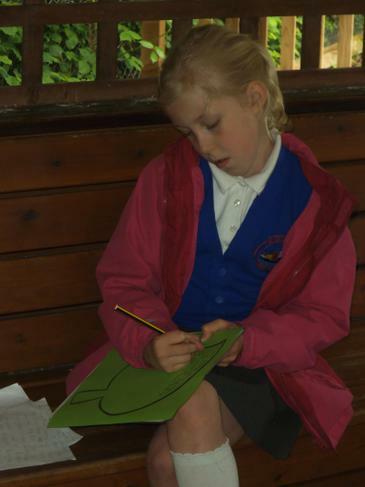 We started the day writing a press release to encourage the Newbury Weekly News to come and visit. 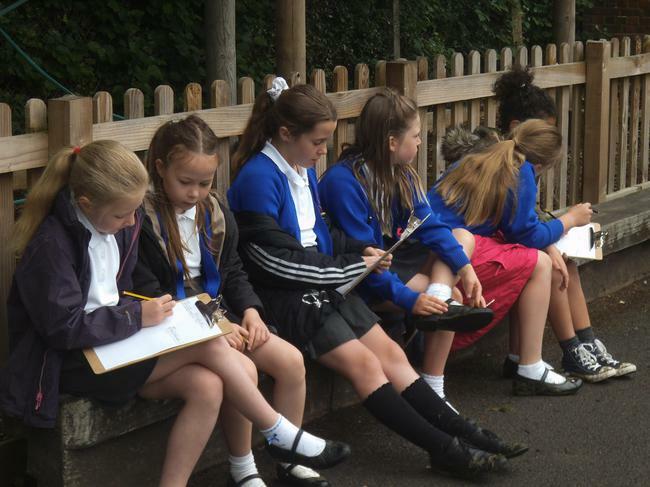 This meant that we had to include the 5 Ws, a quotation and use all of the persuasive features we have learnt about in Literacy last term. 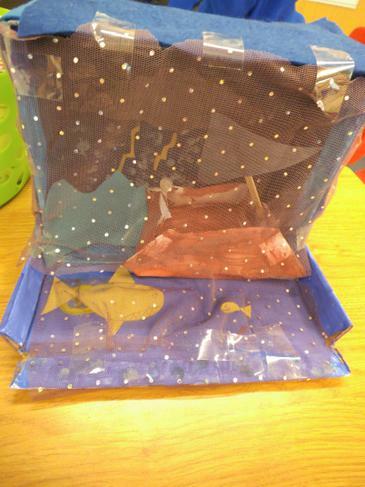 We created and tested our products as well as taking any advance orders. 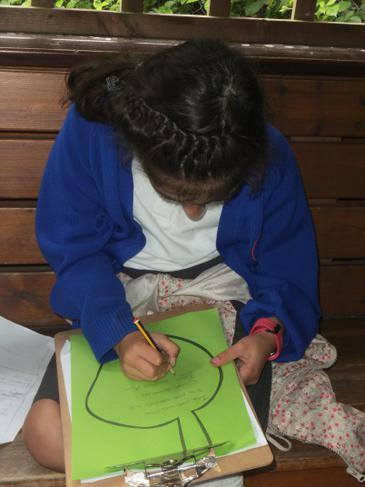 Each group also updated their business logs with a record of their daily activities. 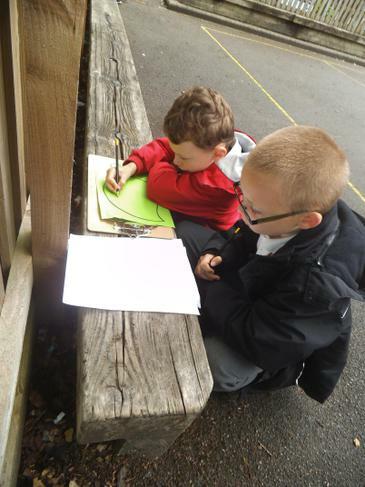 There was a big focus on budget to make sure that our company stays within our £5 budget. 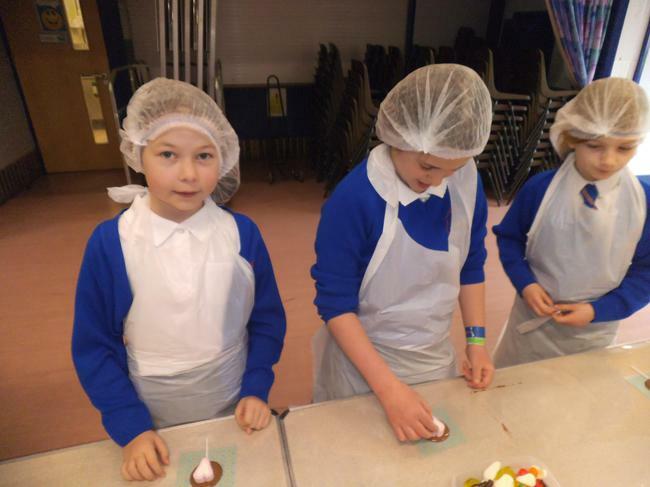 Lower school are busy with our Cooking topic. 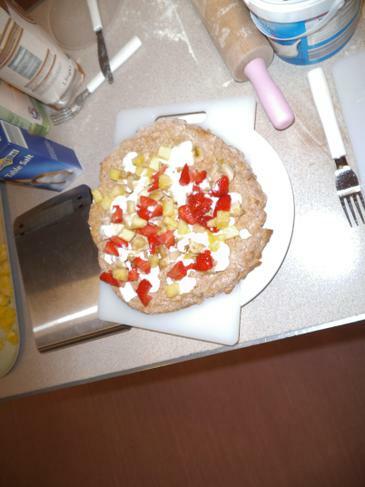 This started with a really exciting hook when the food writer Debbie Hearn came to visit and made a fruit pizza for us. 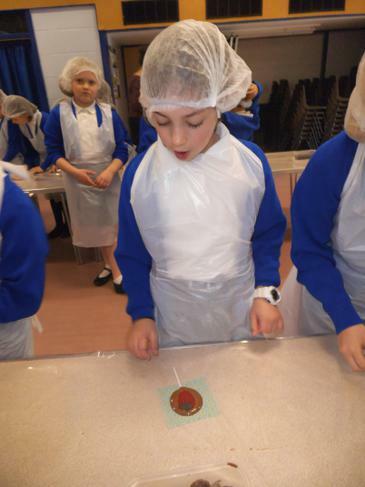 It was very different and showed us a savoury dish with a twist. 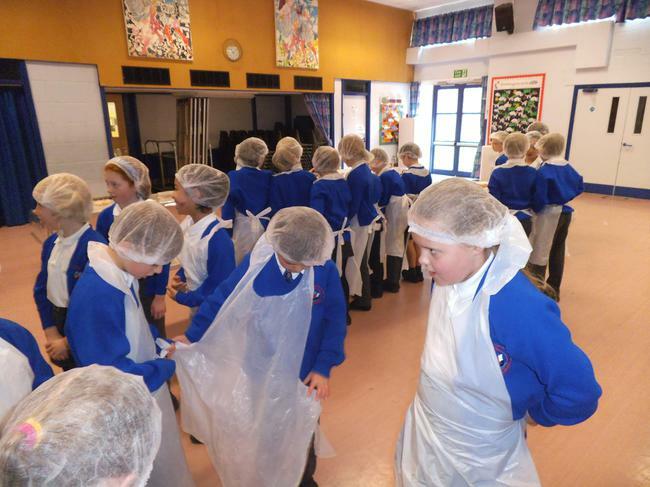 On Friday 27th November, we tasted different flavours of bread; cheese was the definitely the class favourite. 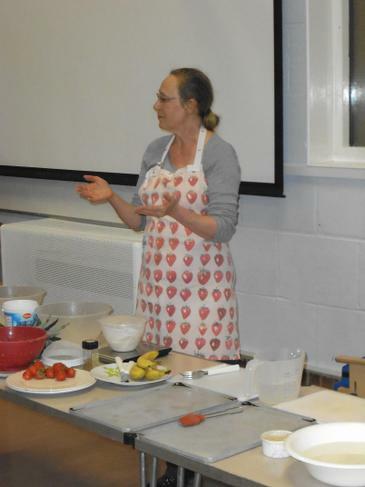 This has got us excited for our own cooking sessions on either Friday, 11th December or Monday, 14th December. 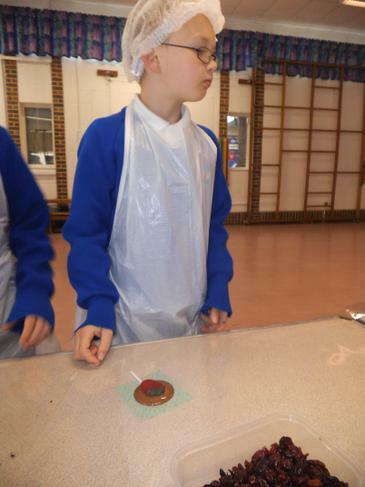 Half of the class will be cooking on each day and letters with all the details will go out this week. 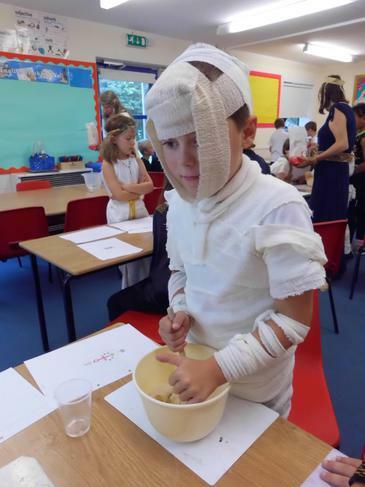 If any parents from Class 1 are able to help on either day, please let the office or Mrs Rees know.